During the annual F8 developer conference, Mark Zuckerberg announced that the company would release an API to allow Facebook Live integration into apps and devices. 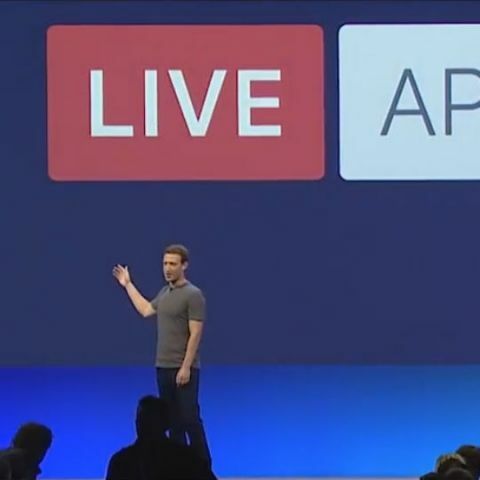 Facebook CEO Mark Zuckerberg has announced that the company would be releasing the API for its live streaming feature. This will allow developers to include Facebook Live streaming directly into specific apps or devices. The announcement was made during Facebook’s annual F8 developer conference. Zuckerberg also demonstrated the new feature by live streaming a shot of himself to Facebook via a DJI drone. Before this, users could only live stream on Facebook via a smartphone. Facebook recently announced that it was adding a number of new features to its Live feature, and making a dedicated tab on the mobile app. Users can now go live on Facebook Groups and Events. In addition, the company introduced real time reactions that allow viewers to express their feelings in real time. When watching a video after a live broadcast has ended, Facebook will replay the comments as they happened during the live broadcast. Furthermore, Facebook will offer users five Live Filters to use on their video, and will soon add the ability to draw or doodle on a video that is being broadcasted live.